With elections around the corner, every party is looking to up the ante with rhetoric and political noise. It’s raining slogans and promises, not to mention accusations as well. Pakistan Tehreek-e-Insaf (PTI) seems like the only party with any traction at the moment, and I am shockingly surprised to see PTI as the only party making waves as far as election campaigning is concerned. Taking the opportunity to see what they were promising this year, I went through their manifesto ­– being professionally involved in both editorials and political writing for quite some time, it was more curiosity than anything else. Before I write any further, I must of course confess that I am not a PTI supporter, so what you are about to read is as neutral as I can be. Generally speaking, the manifesto – the English version I went through at least – is well written. It is definitely a step ahead from what Imran Khan’s nemesis and former wife Reham Khan has written in her so-called memoirs, which were published online on July 10th. Despite the well-written nature of the manifesto, it still needs an editorial hand to tweak it. There are grammatical and punctuation mistakes here and there, but no spelling mistakes. Whoever wrote this was definitely old school, as they dumped the modern use of the ‘ze’ spelling style for the older ‘se’ spellings. The writing work is short, to the point and crisp, but rife with sweeping generalities. Apart from the financial policies, whose detailed precision stands out, the remainder of the manifesto reeks of banality, something akin to offering a panacea for all of Pakistan’s ills, as politicians do on stage in rallies. Hum aap ko pani, bijli, gas daingay! 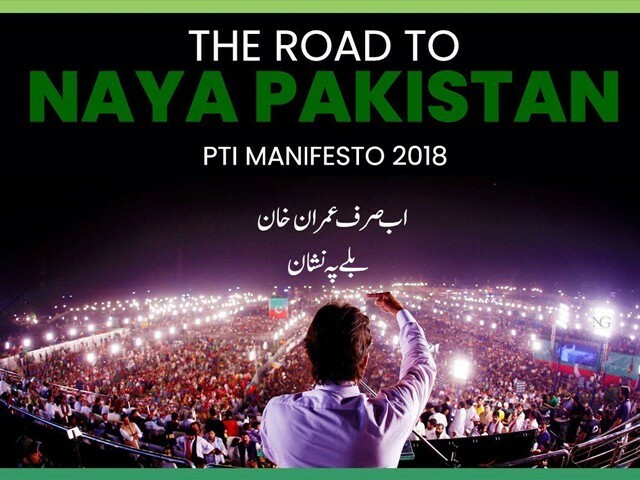 The manifesto has seven chapters, the first being an introduction and the remaining six covering major policy areas, namely transforming governance, strengthening the federation, having inclusive economic growth, uplifting agriculture, building dams and conserving water, revolutionising social services and ensuring Pakistan’s national security. It’s good to see the chapters written as actionable items, rather than simply boring headings. A weird aspect of the manifesto was that it began not with a simple introduction, but a listing of the achievements of the PTI administration in Khyber Pakhtunkhwa (K-P). Anyone having a technical understanding of manifestoes knows the document is a statement of purpose and policy, not a glorification of one’s accomplishments – no matter how big they are. It has always been the purpose of manifestoes to highlight what a political party will concentrate on once in power – past actions should be loud enough to speak for themselves. As mentioned before, the manifesto covers almost all major policy areas in generalities. The only specific programs it mentions are Sehat Insaf cards, the Green Growth Agenda, Youth in Politics, Community Challenge Fund, and a few others which are already in practice. The manifesto also pays a bit of homage to the Benazir Income Support Program (BISP), which it mentions quite a few times when discussing poverty. It is commendable to see the PTI recognise an effective poverty alleviation program and attempt to improve it, despite it bearing Mohtarma Benazir Bhutto’s name. The real shining light of this manifesto are the economic policies; it is blatantly evident that Asad Umar has been hard at work on this document. The economic policies outlined give the reader a glimpse into an elaborately planned economic framework, which has possibly been chalked out somewhere in PTI’s policy committee. The ‘Reform Federal Board of Revenue (FBR)’ section in the ‘Inclusive Economic Growth’ chapter was one of the major highlights, and seemed to have borrowed some inspiration from The Role of Taxation in Pakistan’s Revival by Jorge Martinez-Vazquez and Musharraf Rasool Cyan. If the authors didn’t take any inspiration from the work then maybe they should, as both Vazquez and Cyan have spent numerous years preparing taxation reform papers for successive Pakistani governments at the behest of the World Bank. The manifesto makes some tall claims in certain sections which seem insurmountable, such as the creation of 10 million jobs in five years, and the creation of small and large dams to conserve water. Personally, I am glad to see a manifesto laying out an actual goal which is not vague. However, PTI needs to be mindful of the fact that it is the actual goals which haunt you at the end of your tenure. The China-Pakistan Economic Corridor (CPEC) sections were a bit of a downer for me, as I expected PTI to have a clearer vision and better goals for the most important socioeconomic development in Pakistan’s recent history. Finally, I would like to commend the party for presenting their vision on the National Counter Terrorism Authority (NACTA) and Pakistan’s security policy as a whole. Some parties avoid saying too much out of fear of the security establishment. However, there is one important point of concern here. There were rumours circulating that PTI leader Faisal Vawda was going to have a closed doors meeting with Aurangzeb Farooqi, the head of the Ahle Sunnat Wal Jamaat (ASWJ), perhaps regarding seat adjustments or political support. Everyone knows Farooqi and Muhammad Ahmed Ludhianvi’s integral role in the culling of religious minorities in Pakistan. Despite the Election Commission of Pakistan (ECP) allowing them to contest elections, it would be extremely detrimental for PTI to join hands with known terrorist sympathisers. One would hear the chants of ‘Taliban Khan’ all over again if this happens to be true. The second most important point of concern is a missing Child Protection policy or bill. 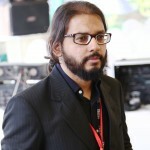 Imran was part of a ground-breaking documentary several years ago, and was personally informed by the interviewer about the rampant incidence of child sexual abuse, specifically within the K-P province and the Federally Administered Tribal Areas (FATA). The Kasur case also highlighted this issue on a national level. Why there isn’t a strongly worded policy tackling child abuse, especially customs like bacha bazi, is beyond me. If PTI cannot take up the absolutely crucial but iconoclastic position of strongly dealing with such offenders within its own province, it will probably never be able to take a stance on it nationally either. I don’t want to point a finger at PTI for playing it safe in its own home turf just yet, but they need to say something openly about this soon. Overall, the manifesto is a concrete document laying out certain plans that PTI wish to undertake. Whether they’ll be able to take up even half of this successfully is a matter that will be decided by the emerging fault lines within the Parliament after the upcoming General Elections.